If you're not a DIY expert then why not let our professional installation team build it for you leaving you with more time to spare for other activities. PLEASE NOTE: Our Professional Installation Service is currently only available to selected postcode areas, please see the map below for details. 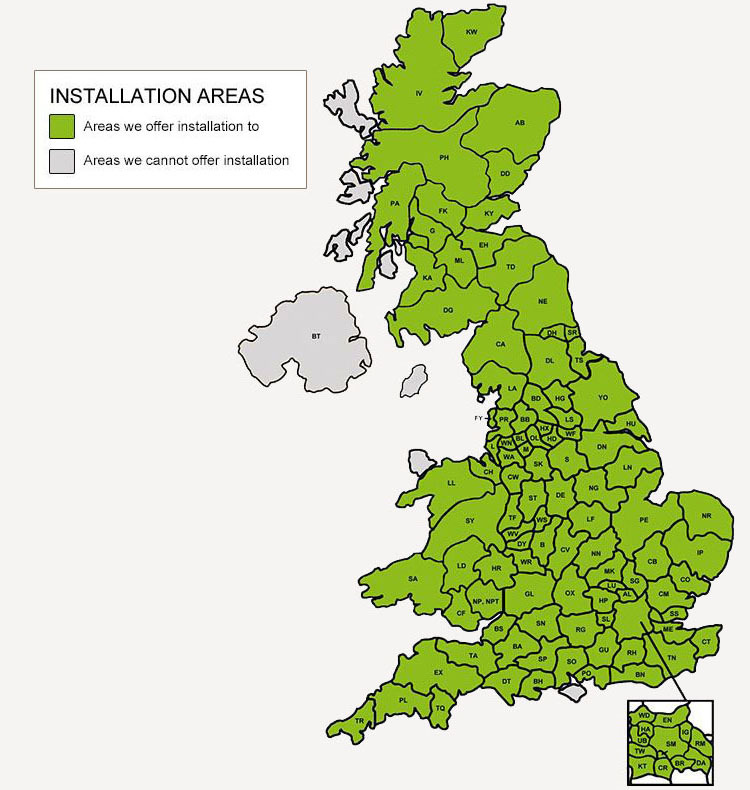 Any orders placed for installation which are outside of these postcode areas will not be accepted. We offer Installation on a wide range of our garden products, please refer to product pages for availability. 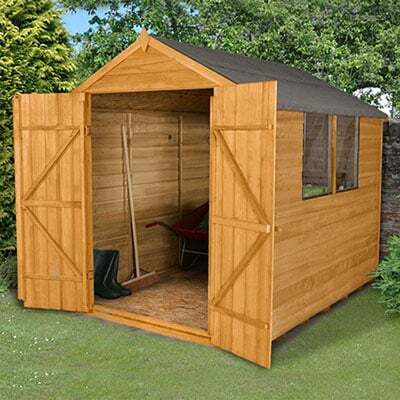 To add installation for garden shed; summerhouses, log cabins or any other garden building you are looking to your order with us, please select it from the 'accessories' section listed on the product page. The date for installation will be arranged with you by the installation team once a delivery date has been booked with you. We aim to carry out all installations within seven working days after delivery (excludes Log Cabins). Once you've made your purchase and selected our professional installation service our installers will arrive on the date arranged and assemble the product in your chosen location. All we need you to do is make sure that a firm and level base is ready for the building to be assembled. When will we install your garden building? We aim to install your new garden product within seven working days after you receive delivery. Our installation service is currently offered to certain postcodes – please refer to the map above to see if we install in your area. Customers will be contacted to arrange the delivery date and once confirmed the anticipated installation date. Installations are carried out from Monday to Saturday only. We do not offer a Sunday installation service. Please ensure that a suitable base is provided for the building you have ordered, which must be firm and level and with no obstructions i.e. trees, objects or anything that will encroach on the working space. There must be a clearance of at least 60cm all the way around the shed. The base must be level and must be a minimum of the size of the floor of the building. IF YOU HAVE ORDERED A SHED BASE PLEASE ENSURE THE GROUND ON WHICH YOU WOULD LIKE TO HAVE THE BASE LAYED CONTAINS NO OBSTRUCTIONS EG. FREE OF UNDERGROUND PIPES. If you have ordered a shed and base then there are separate charges for installation of the shed and base, pricing details are shown on the product pages. If you have not paid for installation of the base this will need to be prepared prior to the installation, if this is not prepared the installation will be aborted. The installation service is only available on the wooden shed base kits, this service is not currently available on the plastic or eco shed bases. If you have ordered a plastic or eco base you will need to prepare and install this base prior to the shed installation taking place. If this is not prepared then the installation will be aborted. Please check that access to your garden will allow a clear passage for installers and product. Please ensure that the installation team have suitable space to park their vehicle. Health and Safety and insurance liabilities prevent us from entering your property for access and should you live in a flat we will only be able to deliver the building and will have to abort the installation. It is essential that you are available when the installation team arrive and when they have finished the building to ensure that the product in installed in the correct location and to your satisfaction. The installation team will ask you to sign a customer satisfaction form. You should note on this form any problems that you have with the building at this point. If problems haven’t been noted at this point and a re-visit is required to resolve the problem you will be charged a call out fee. If you have a query or require any additional information regarding the delivery and installation of your garden building, then please contact a member of our team on 0333 003 0514. Unfortunately we are currently unable to offer installation for our smaller shed accessories, this includes our solar lights and shed insulation. Aborted Installation - What happens if we cannot install your garden building. A suitable base is not available. No suitable access to your garden or location of your base. If you are not present at your property on the installation date.